Building & looking after a pond is a pleasure if you start with the right advice and equipment. Our experienced staff are here to help you find the best pumps, filters, plants & accessories. 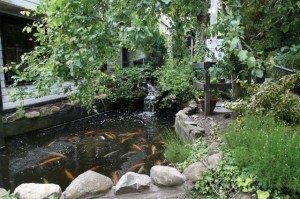 We are one of the most experienced pond builders and aquatics specialists in North Wales. If you are looking for a simple stylish water feature we have several displays to inspire you & we can deliver and install them. When choose the correct pump or filter for your pond their are several factors involved, such as water volume, fish stocking level, water fall height, the amount plant life in your pool. To simplify this process come and speak to our experts and we will help you achieve a clear healthy pond. Or if you are having trouble with an existing pond we can solve any issues you may have. We are now proud stockist of Evolution Aqua pumps & filters, Oase pond equipment & Lotus filters and pond accessories so we have any pond filter requirements covered. 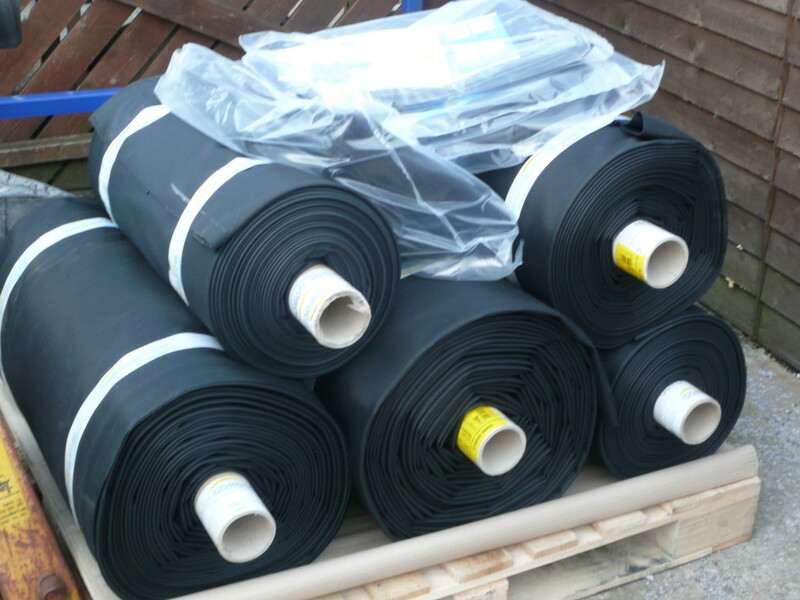 We sell high quality liners in two ways either off the roll or to order in which can be delivered direct to your door. We stock 1mm fire stone & 0.75mm green seal rubber liner with a lifetime guarantee. The roll widths we stock are from 2 meters wide up to 6 meters wide. Please ring for a quote or if you need any assistance. If you have a large project we are able to organize a site visit to offer individual advice. Fibre glass & PVC ponds come in many shapes and sizes, are easy to install & are very strong when installed correctly. We have lots of shapes and sizes in stock and on display & we can also supply fiber glass ponds to order. The sound of running water in your garden is very relaxing and is simple to archive with our range of pre made natural looking waterfalls. 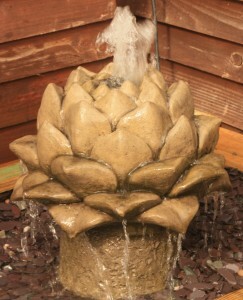 If you are a landscape designer we offer very good discounts on all water garden equipment, liners, plant & fish. So if you have a project please pop in and discus what you require. We can help with the design & any technical questions regarding pumps & filters you may have. We can also deliver to site.